1. Big Pharma is to blame for rising drug prices, say PBMs. At a Senate Finance Committee hearing this week, executives from CVS Health, Cigna, Prime Therapeutics, Humana, and UnitedHealthcare’s OptumRx testified that the responsibility for high drug pricing lies with drugmakers, citing the cost of brand-name drugs such as insulin. They rejected the idea that rebates paid to them by drug companies are secret and argued that they help offset the high list prices of medication. Read more from CNBC. 2. 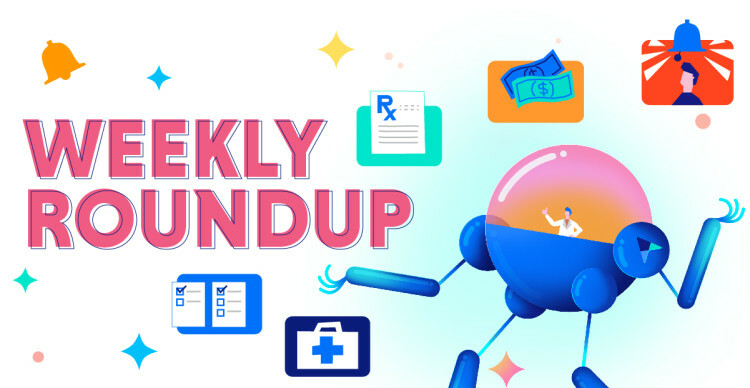 “Alexa, what’s the status of my prescription?” Last week, Amazon announced the addition of six new HIPAA-compliant skills to its AI-enabled assistant Alexa as part of an invite-only program. The skills, developed in partnership with companies like Cigna Health Today and Express Scripts, will enable consumers to complete select tasks, including checking on prescriptions and finding urgent care and scheduling same-day appointments. Read more from FiercePharma. 3. The Centers for Medicare and Medicaid Services (CMS) may soon start cracking down on “look-alikes” for dual-eligible special needs (D-SNP) plans. Marketed to dual-eligible patients — i.e., those who qualify for both Medicare and Medicaid — D-SNPs are Medicare Advantage plans that integrate Medicare and Medicaid benefits for their members. Critics argue that the look-alike plans enroll patients in general Medicare Advantage plans without the ability to integrate with Medicaid, and hinder efforts to improve D-SNPs. Read more from Modern Healthcare. 4. A machine learning tool can help identify individuals at high risk of opioid overdose, says a new study published in JAMA Network Open. According to the study, researchers from Carnegie Mellon University, the University of Florida, University of Pittsburgh, and the University of Utah developed a machine learning tool to stratify Medicare patients into risk-based subgroups. Medicare beneficiaries with opioid prescriptions are at high risk of addition and accidental overdose, and these algorithms could help healthcare providers focus their resources on higher-risk individuals. Read more from Health IT Analytics. 5. Beginning in 2020, CMS will expand telehealth benefits for Medicare Advantage plans. Among other things, the new benefits will provide patients the option to receive healthcare services at home, instead of a healthcare facility. Medicare Advantage plans have historically offered more telehealth services than Original Medicare, but the new rule should further serve to expand access to patients in more parts of the country than before as plans include these services in their basic benefits. Read more from CMS.gov. Get the latest news and updates about the pharmacy industry. Latest news and updates about the Medicare and pharmacy industries.